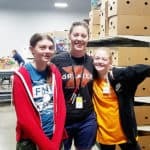 Amazing Grace Food Pantry is providing nutritional food to over 30% more people than last year’s first quarter. The need continues to grow. Thanks to our sponsors and many volunteers, we opened the doors to new facility the end of March. The Grand Opening scheduled for Friday, April 6th. The client families love the large covered patio with seating and produce shopping, indoor seating and larger indoor shopping area to select more food. In March, we had the privilege to meet and work with these amazing young ladies! Full of energy and respect. Thank you Lake Point Fuel Team for cleaning out storage room! 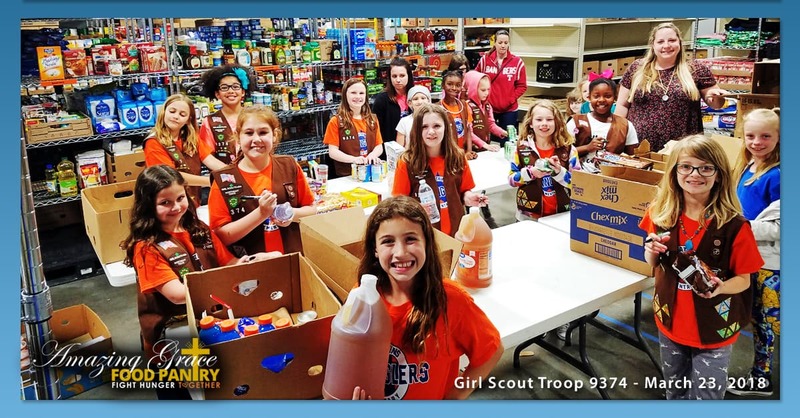 Thank you Girl Scout Troop 9374 for stocking shelves! Their art project was to draw and list what people need. Among the list of food and shelter, they listed “each other”… these are our future leaders! Call 972-292-7241 to schedule a tour or volunteer day with your family, youth group or scouts this summer. One hour, or a whole day, that will change your life!